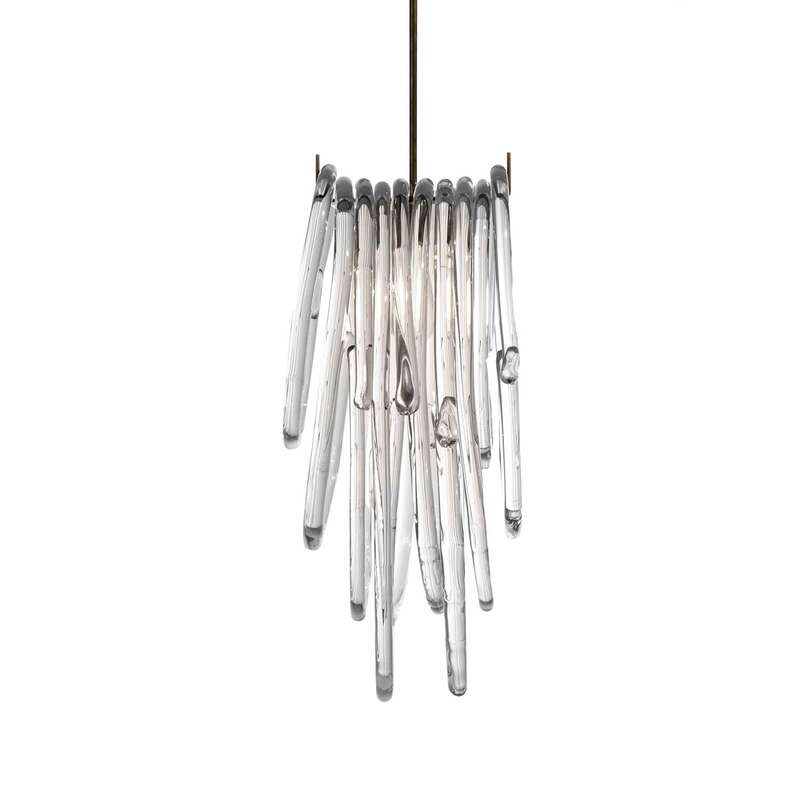 SkLO lassos – solid loops of hand blown Czech glass – serve here as the shade and diffuser for this unique pendant light fixture. 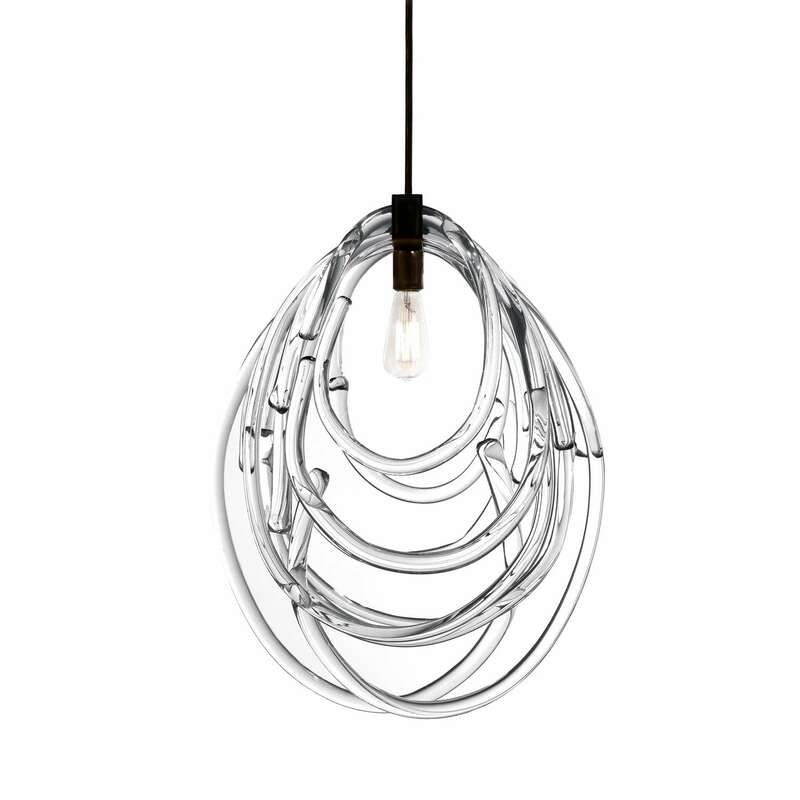 The glass loops come in different sizes, showcasing the amazing depth and clarity of Czech glass. 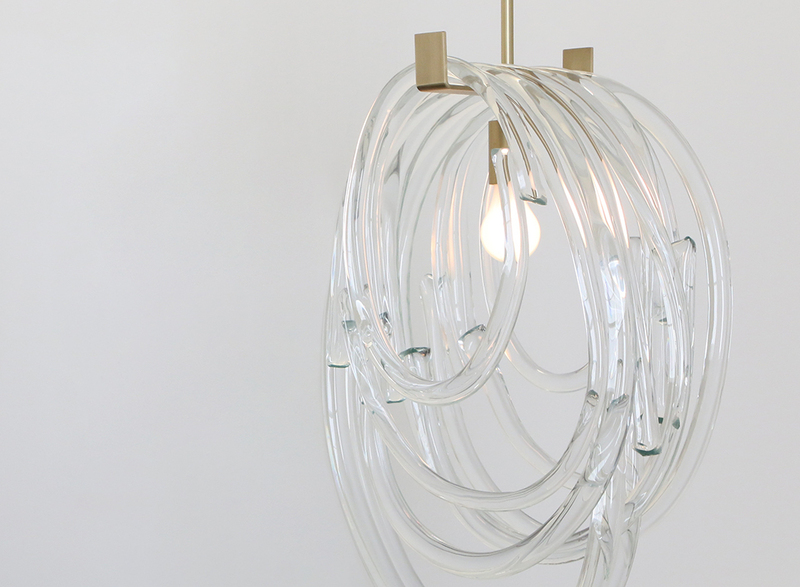 Every loop is unique, an expression of the hand of the glassmaster – no two exactly alike. Stem length in 12", 18", 24", or 36"